D'Utama Toastmasters Club conducted their second meeting for the term 2008/09 last night (17 July 2008) and it was indeed a Night of Achievements. It was a great achievement for the first time Role Players starting from the Toastmasters of the Evening (TME), TM Peter Yu. I could see he was restraining his usual brazen self to show due respect to the culture and rules of the club - a challenge when taken. This young dynamic man took the stage & the meeting was full of energy and gusto - a truly rocking good time!!! We saw our newest member, Belinda See in her second meeting as a DUTM member taking on the role of the Time Keeper for the first time. Though being on the job for the first time, she carried her duties very well by showing "no mercy" with the bell on some of our Speakers who went over the time limit. Time Management IS IMPORTANT, and the meeting ended on time partly due to that. We also had Nor Asylynna Lee who took the challenge of being the Table Topic Master (TTM) for the first time, and she conducted a very interesting session with by encouraging 6 Speakers (2 of them were Guests!). Well done!! A real treat to the members were seeing old friends again, namely Julia Mellors, and Paulynn Yu who had left the club to overseas to further their career and studies respectively. This goes to show that relationships established in a Toastmasters club is not just a professional one but also a personal one as well. The meeting had a session called 'The Star is Born' where the birthdays of those in the months of May, June & July were celebrated. 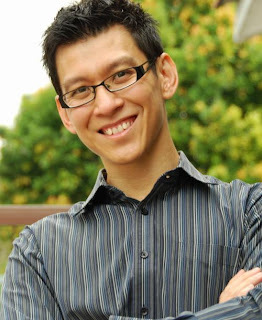 Another Members achievement to be acknowledged is Competent Toastmasters (CTM) Competent Leader (CL), Henry Fu who has completed his two Advanced Manuals to attain his new title of Advanced Communicator Bronze (ACB). Henry Fu also have complete his High Performance Leadership (HPL) and is one step closer to achieving his Advanced Leader Silver (ALS). A prime candidate for District service next term. 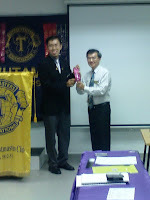 Last but not least, the heartiest congratulations to Immediate Past President (IPP) Jack Leong CTM CL for leading the D'Utama Toastmasters Club to being the President Distinguished Club by achieving 10/10 in the Distinguish Club Program (DCP). The IPP attributed the award to the members and thank all the members for their contribution and commitment to their respective personal growth that lead the club to the award. Besides the Regular Meeting, I have got to know there three (3) Guests have submitted their applications to be Members of D'Utama Toastmasters Club after meeting the club's membership criteria. Congratulations !!! to the new applicants, and to the new Vice President of Membership, Tan Kooi Ching, CC. 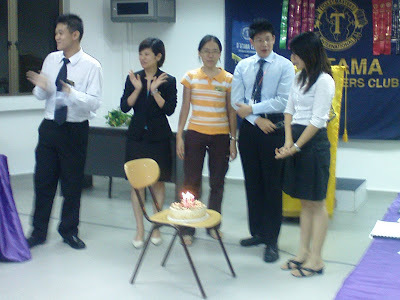 VPE Teoh Chun Ming, Competent Communicator (CC), Henry Fu, Advanced Communicator Bronze (ACB), Competent Leader (CL), D'Utama Toastmasters Club, 10/10 President Distinguished Club recipient, and Happy Birthday May, June and July babies ! Truly, a Night of Achievements! learned from senior members about Public Speaking. in the exco team. 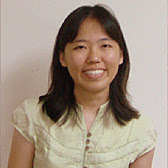 I am a student studying in UPM." and talkative.. but not on the stage..
leadership and public speaking arena. the diminutive exterior, lies a lion's heart. warmth to everyone around her. and service for the club. club has never been in better hands. cultures. Eats everything except liver. mind to obtain her CC before the year was out. Advanced Communicator Bronze (ACB) status! 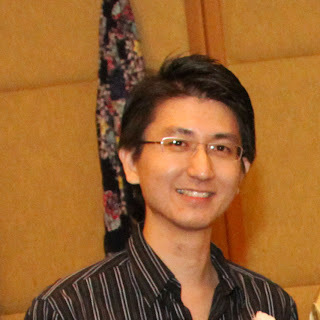 During our Club's (D'Utama) Installation Nite last Saturday (28 June 2008), our esteemed President Calvin Lim ACB has liken D'Utama as THE Bride, he is the Groom and the members are his Children. What's missing in this lovely family picture? Well I'm FIL … the "Father-In-Law", and for those of you who are married, what is the one thing any Father-In-Law wants for his children? Nothing more than the very best! And I believe your President and the new Executive Committees is that! The VERY BEST! I would encourage you to support your new Exco as they will undoubtedly work very hard to support you. 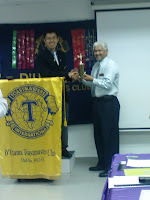 And while I may be the B4 Area Governor, I am first and for most a proud member of D'Utama Toastmasters Club!!! and all of you will have my support. 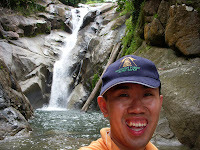 D'Utama is THE great club, what makes a club great? "Is it because of the awards that the club achieved year after year?" "Is it because of the fantastic refreshments we are going to partake in a few minutes time?" Maybe, and we have our SAA to thank for. What makes this Club, D'Utama so great, it's because of you, you, you … All of you Members and Guests alike are what makes this club great. Over the last 3 years I've made so many friends within and outside the club. We share our experiences, common goals, and parts of our lives together. There is a bond between myself and quite a number of you. Wouldn't you agree? I'll help those 'yet to be strong', AND those are 'Strong' to be Stronger. So set your Goals and Targets high, and keep the fire burning. As your President shared his theme "Taking Chances to Share", I would too encourage you to take EVERY chance to share. I'm looking forward to a fantastic new term … and I encourage you to do the same.